Complementary currencies have long played a vital role in the history of money. In an era in which digital cash is rapidly gaining ground, complementary currencies are taking the spotlight once again. This is due to the fact that Bitcoin technology is poised to trigger a tectonic shift in money’s evolution, integrating complementary currencies and digital cash in the global economic environment. Complementary currency relates to a voucher-system used in many communities around the world as a complement to the national currency. Digital cash refers to cryptographic means of payment utilizing the Bitcoin protocol supporting Peer-to-Peer transfers of crypto coins via a global network of computers. While some see complementary currencies as a risk in the same way that most bankers today regard Bitcoin as a reputation risk, there is no reason why either form of money should be considered a threat to existing legal tender. More choice simply means more opportunity. In fact, complementary currencies have already proven themselves to be useful tools during different periods in the world’s economic history. In the digital era, Bitcoin can leverage complementary currencies to achieve its important mission of making money better. Because crypto coins such as media darling Bitcoin are already challenging the dominant position of legal tender, this begs the question of whether the rise of a multiple-currency environment could lead to greater economic growth and socioeconomic inclusion for the entire planet. The notion of choosing among multiple currencies based on which one best fits the transaction situation at hand, much the same way a mechanic must select the right tools from a toolbox for the repair situation being addressed, is appealing to many. The central question is how plastic or paper-based complementary money relates to virtual coins. In order to gain digital functionality, complementary currencies – almost all of which are still paper-based – must adapt the features of Bitcoin technology for their own use. The Bitcoin protocol specifies how to build and maintain a distributed database of transactions on the Internet, making any complementary currency that adopts it secure and simple enough to gain acceptance. It’s not a question of if complementary currencies will integrate with digital cash, it’s really only a matter of when they will do so. As the first widely accepted form of digital cash, Bitcoin is paving the way for this integration. The idea of money evolved from the ancient ritual of giving gifts, which was a feature of many primitive societies. Cowry shells were among the earliest of people’s most treasured possessions. From 1200-800 BC, Cowry money was circulated in China and India. It was later found in association with other coins from sites dating as far back as the first Century AD, potentially making it the world’s first complementary currency . Later stages of money’s global history are filled with instances of complementary currencies . The Miracle of Wörgl during the Great Depression is a powerful example of a complementary currency. To fight unemployment and the local recession, in 1932 the Austrian town of Wörgl issued what it called Certified Compensation Bills, a form of currency commonly known as a Stamp Scrip or Freigeld. This was an application of the monetary theories of the German economist Silvio Gesell, who experienced the 1890 depression in Argentina as a merchant. The monetary experiment in Wörgl resulted in employment growth that enabled the local government to complete such vital projects as the construction of new housing, a reservoir, and a bridge in spite of the depression that gripped the rest of the country. Inflation and deflation were also regarded as non-existent during the course of the experiment . Eight decades after the Miracle of Wörgl, the Chiemgauer was successfully introduced as a regional currency around Germany’s Chiemsee, a lake in Bavaria. According to its inventors, the Chiemgauer is intended to boost employment, promote culture and sustainability, strengthen solidarity, and stimulate the local economy. The Chiemgauer is still in use today and is considered a role model for complementary currencies worldwide. The success of the Chiemgauer is due to the number of local businesses that support its use, as well as the fact that it is pegged to the Euro in a one-to-one ratio for consumers. Furthermore, the Chiemgauer is also backed by local banks, can be exchanged at community banks and has garnered the support of a number of co-operative banks and credit organizations. It’s even possible to pay in Chiemgauer using a debit card managed by Regios, an association of co-operative banks. More importantly, the real differentiating point for the Chiemgauer is the fact that it automatically loses value if you don’t spend it. This concept, called demurrage, speeds up money circulation and stops users from hoarding, thereby protecting against deflation while stimulating the economy. Unlike traditional money that can be saved without restrictions, the Chiemgauer is only valid for three months. The idea is that it must be spent in order to have its intended stimulating effect on the economy. If the notes aren’t spent, they can be renewed by buying a stamp that costs 2% of the notes’ face value, meaning that over the course of a year, the currency depreciates 8%. Notes can be renewed up to seven times . Yet another example of a successful regional complementary currency is the WIR (Wirtschaftsring) in Switzerland. The WIR system serves businesses in the hospitality, construction, manufacturing, retail and professional sectors, and is now referred to as the WIR Bank. WIR issues and manages a private currency, called the WIR Franc, which is used in combination with the Swiss Franc to generate dual-currency transactions. The WIR Franc is an electronic currency reflected in clients’ trade accounts without producing paper money. The use of this currency has been shown to stimulate increased sales, cash flow, and profits for qualified participants . A second recent example of a complementary currency can be found in Venezuela. From 2007 to 2009, Venezuela developed 11 barter currencies that are used in 13 of its states. In a similar fashion, NGOs in Brazil worked with people in Palmeiras, an impoverished district in Fortaleza, Ceara, to set up their own community bank and establish a local complementary currency called the Palma. Thanks to its stimulation of the local economy, the Palma is credited with creating 1,200 new jobs since its inception. Other examples of complementary currencies include BerkShares, used in the Berkshires region of Massachusetts and Ithaca HOURS in Ithaca, New York, both in the US. The Ithaca Hour is widely recognized as the oldest local currency in US history. To name just a few more, there are local currencies such as the Lewes Pound, Totnes Poundand Brixton Pound in the UK, the Toronto Collar in Canada, and Proyecto Mutuo in Argentina. For the most part, such complementary currencies play only a fringe role in the local economy. Without doubt, the most common but often overlooked complementary currency is the Frequent Flyer Mile. Its long-running use among many airlines is an example of a corporate-based complementary currency without being geographically tied to a local or regional economy. The Disney Dollar is one of the most well-known examples of corporate scrip that serves as a substitute for government-provided legal tender or currency. It was first introduced in 1987 and since then has been used for redeemable goods and services at the Disney theme parks, on Disney cruises, and at Disney’s private island in the Caribbean. According to Lietaer & Kennedy, as of 2007 there were thousands of complementary currencies in the world, 55% of which were located in Europe, 36% in Japan, 5% in the US and 3% of which were in Australia and New Zealand, with the remaining 1% scattered around the globe. In the book Rethinking Money, former EU monetary official Bernard Lietaer reports that 6,000 to 7,000 such private, alternative, competing and complementary currencies are in use around the world. The great majority of them are not backed by anything of inherent value except the willingness of market participants to use and accept them. Lietaer himself is the originator of a global complementary currency called the Terra, which is a composite of the most important commodities. As a whole, complementary currencies have not enjoyed large-scale success. According to Gill Seyfang, a specialist in “new economics” at the UK’s University of East Anglia, “There are all sorts of reasons, but principally it seems that people love the idea of it, but in practice it doesn’t seem to function very well. Complementary currencies don’t achieve critical mass and shops don’t want to take it because their suppliers won’t accept it, and so on. It doesn’t deliver enough material benefits for it to be wanted for its own sake. But you also have to look at these schemes in other ways. Often it’s about local engagement and rewarding neighborliness” . Bitcoin is in a position to change all of these concerns. Instead of fueling the world economy with competing government currencies, Nobel Laureate Friedrich August von Hayek (1899–1992, Austrian School of Economics) advocated running it on competing private currencies, just like all other goods and services that are circulated through a private, competitive market . Bitcoin technology can make Hayek’s idea become a reality. An innovative feature of Bitcoin that makes it an attractive option as a complementary currency is that it does not need any central organization. This is different from other experiments with digital cash in the past. In 1996, e-gold was introduced as a tentative universal currency that was backed by real gold. Although promising, it eventually failed because it relied on a central organization to manage the inventory of gold. The quantity of gold needed was expected to grow with the e-gold economy, which was impractical, dangerous and fundamentally useless in an increasingly digital society. While Bitcoin’s supply mechanism simulates the extraction of a rare metal with a mathematical model, it carries none of the downsides associated with dealing in actual gold. Bitcoin has very high divisibility with low vaulting costs and is backed up by a global network of users, potentially providing stability in the long run, so long as some level of compliance is mandated. Fully backed by the national currency: SOL (France), Social currencies in Brazil, Lewes Pounds (UK), Eco-Pesa (Kenya) and others. Backed by guarantees from members of the exchange system: Time Dollars, some types of LETS systems. Backed by goods: Green Bucks, Mendo Credits (locally grown food), Mulligan Books (books), commercial vouchers (coupons) provided in promotional materials, etc. Backed by services: Frequent traveler programs in airlines, some types of Regiogeld. However, Bitcoin technologies have the potential to unify all of these categories, putting complementary currencies in a position they otherwise could never achieve on their own. Currently, most of the circulating complementary currencies are constrained to one region or community. The introduction of Bitcoin-like technology, however, can help these currencies overcome this hurdle and allow them to transact with each other freely. Colored Coins are a good example to illustrate how this can be achieved. Colored Coins is an open standard protocol, operating on top of the Bitcoin protocol, that allows coloring of the coins so that people can hold different and numerous assets on the Bitcoin block chain. With Colored Coins, assets like Gold, Euro, USD and a variety of securities can be stored on the same decentralized, secure cloud platform. It allows users to transact freely in financial instruments . Likewise, complementary currencies could be held and exchanged just like other assets. In particular, Bitcoin can greatly enhance the efficient conversion and transfer among complementary currencies that is lacking in the status quo. 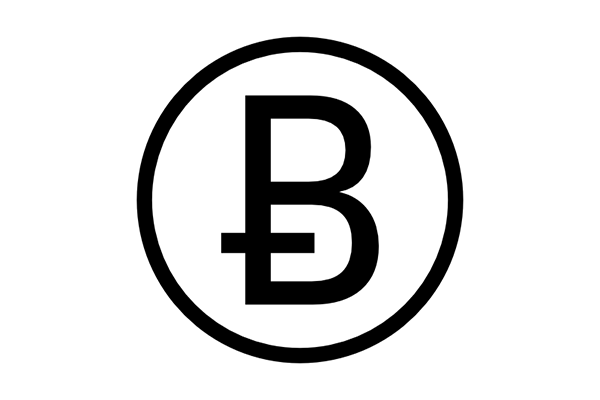 For example, if person A holds some digital Chiemgauer and peer B holds some digital WIR Francs, they can exchange those assets directly through a crypto exchange or by using Bitcoin as an intermediary reserve without any third parties being involved, effectively unifying the two complementary currencies through the use of Bitcoin technology. According to the definitions of Lietaer & Hallsmith, most crypto coins such as Bitcoin, Litecoin, and so on can also be classified as complementary currencies, although financial authorities do not recognize Bitcoin or any other form of crypto coin as a medium of exchange equal to legal tender. Different from other complementary currencies such as the WIR Franc and local currencies like the Chiemgauer in Germany, digital cash is not constrained geographically. The open source nature of most crypto coins grants them greater potential to become more influential as complementary currencies when compared to their traditional, paper-based counterparts. Any type of crypto coin serves as a store of value that can be used as a medium of exchange whereby the denomination is expressed in a specific unit of account that may be converted to legal tender. In this sense, Bitcoin and other forms of digital cash are already complementary currencies whose influence will only grow in the digital era. The Bitcoin protocol is based on cryptography and file-sharing technology to control a public block chain ledger. It can add value to complementary currencies in several ways. The cryptographic means of payment is a fast, secure, and low-cost mechanism to work with, especially when compared to the existing payment mechanisms provided by banks. Furthermore, by employing technologies such as Colored Coins, local currencies can establish Internet-based exchanges between each other. The greater the number of merchants, materials, and customers involved, the greater is the potential for this type of complementary currency to transform how transactions take place in the global economy. When complementary currency communities adopt Bitcoin or other types of digital cash, they will be able transfer such currencies between different communities without exchanging their complementary currencies or fiat money back and forth. Transfer times can be significantly reduced while at the same time strengthening bonds between complementary currency communities. Viewing this on a global scale, more people involved in complementary currencies will attract more merchants and their suppliers to join complementary systems. For the Bitcoin community, the adoption of crypto coins by complementary currencies is delightful news. As they begin to use crypto coins as a payment method, transaction volume will experience a significant boost. The Bitcoin ecosystem requires such increases to reach critical mass to become a mainstream payment method. More non-speculative transactions going through the block chain means more stability for the Bitcoin ecosystem. There is also a global cultural movement to embrace technology, transparency, and collaboration, and its attempts to replace institutions with networks continue to develop and move forward. This movement towards openness is visible in the form of Anonymous, Wikileaks, the Occupy Movement, the Swedish Pirate Party, Wikipedia, open-source software, and even the maker/hackspace culture. It should also be noted that Bitcoin users are not politically coherent, with participants spanning the entire political spectrum. In the digital age, the legitimate claims of global citizenship are what has fueled the movement to create the Internet’s own money. To summarize, the history of currency is filled with examples of local color and flavor, but it is Bitcoin that is successfully bringing complementary currencies back on the table, earning them the attention of mass media across the globe. What Bitcoin can really do is add depth to traditional complementary currencies, making them accessible to more people across their many variations around the world. This holds true not only for those already involved in Bitcoin and complementary currency communities, but also for the banks and businesses that are not yet involved. The combination of Bitcoin or Bitcoin-like technologies and complementary currencies opens up an entire world of possibilities.